We are passionate about our service towards clients and their pets. Our mission is to educate our clients so they can make informed decisions about their pet's healthcare. Diagnostic services available include: dental cleanings, endoscopy, feline laser declaws, in house bloodwork, laser surgeries, spays and neuters, routine vaccines, ultrasound, digital x-rays, EKG, cytology, hospitalization and intensive care. We also offer surgery for orthopedic injuries, invasive abdominal procedures and in depth internal medicine. Please call us for scheduled office visits , drop-offs , or emergency visits (regular business hours only). Routine surgeries are scheduled Monday, Wednesday and Friday mornings. 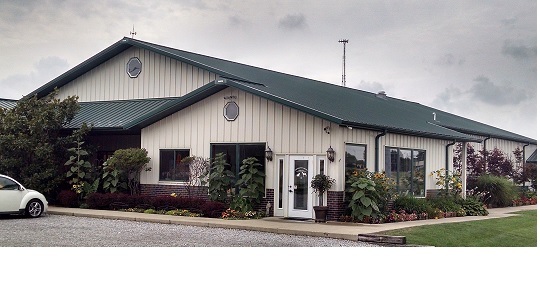 Chevington Animal Hospital was founded in 1989 by William P. Young, DVM. Since that time, we have served Pickerington and the surrounding area to keep pets healthy and happy! Our staff strives to work with clients to keep their pets healthy, while answering all our clients' questions. We are a full service veterinary clinic for dogs and cats only.